I am from Gambo, NL, located on the east coast of Canada, in the middle of the North Atlantic Ocean. My hometown of Gambo was once divided into three smaller communities, known as Middle Brook, Dark Cove & Gambo. I grew up in Dark Cove, and absolutely love to cook and bake, so I thought what better name could there be for my first blog than 'My Dark Cove Pantry'. Even though I now live in Flatrock, and now have a new pantry, it will always be 'My Dark Cove Pantry'. Being on a large rocky island in the middle of the Atlantic ocean does have its perks......a great variety of fabulous seafood! 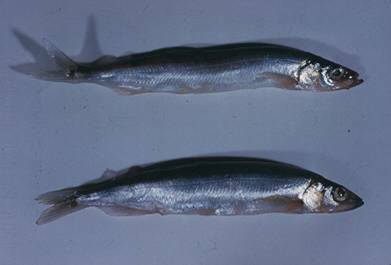 First , let me introduce you to the tiny, delicious and versatile capelin. They actually travel in large schools and roll in on the beaches in late June to spawn. 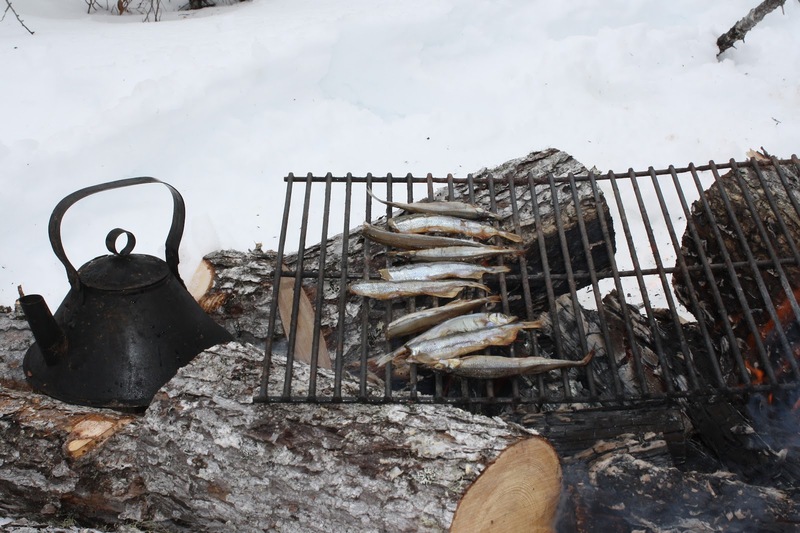 It is a local tradition to get your winter's supply of capelin and smoke or salt and dry them. People catch them with nets, in buckets...and sometimes with their bare hands. It is so much fun to catch them, or just watch! We smoke them and dry them--they are awesome on the BBQ anytime or especially nice during the winter, when we go into the woods on snowmobile, cut down a few dry standing trees and have a outdoor fire. In Newfoundland, that is referred to as a winter "Boil-Up". Here's a picture of a "Boil-Up" that Roger & I had about a month ago on a nice frosty Sunday afternoon. It was about minus 6 degrees Celsius, just right for an open fire and some smoked capelin and a beverage of choice!! 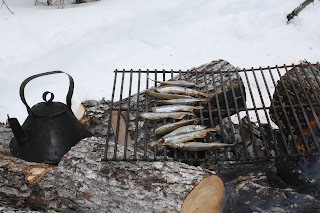 If you like salty or smoky foods, and if you like fish, you would definitely love smoked capelin on an open fire. The capelin alone is a very mild, almost sweet tasting white fish. Now, for some crab tarts!! Yummo! I love all that you're doing in this challenge. If you didn't guess I am such a foodie! Glad you are enjoying my posts! Delicious! Not only I am learning new things I am gathering new recipes from participating in the A to Z challenge. I am so glad I stopped by! I love the painting of your house. Thanks for stopping by--glad you are enjoying my blog! I must try these - I am not a big sea food fan but I LOVE crab. Yum! I love any kind of crab. Crab cakes, crab legs, crab salad. I sound like Forrest Gump now! One of my paintings of a traditional Newfoundland snack, "Tea and Biscuits". This is a place for me to share my photographs, recipes, paintings, and my other interests and ideas... Have a look around and feel free to leave me a comment.